Zelda-Inspired Secret Passage Floor Decal | Nerd Much? One of our fondest memories of The Legend of Zelda was stumbling upon a secret passage, like the ones near the Tunnel of Mages or the Lost Woods. Burning a bush to reveal a hidden stairway or simply finding one somewhere on the grid was the bees knees. Now, you can bring some of that magic to your living room with a Secret Passage Floor Decal by JamesBit. 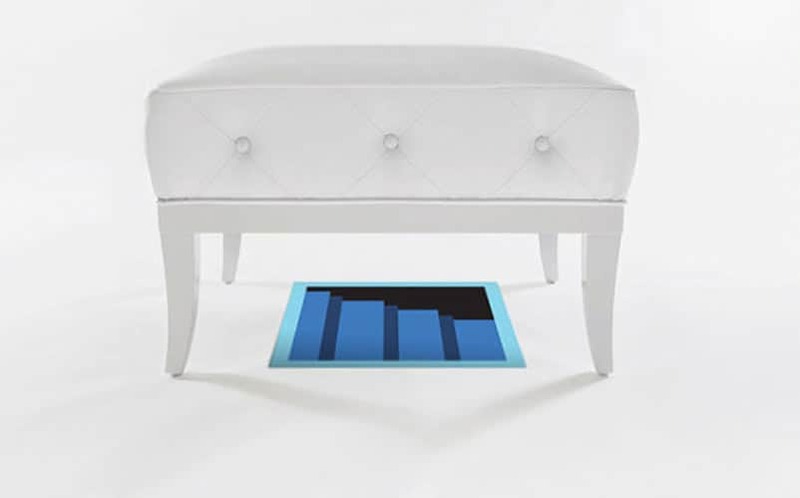 This Secret Passage Floor Decal is a slip and scuff resistant vinyl floor decal that is inspired by the hidden secrets of the NES’s greatest video game. It sits on the floor and doesn’t leave any residue, and holds up to common floor cleaning chemicals, so you don’t have to worry about ruining it. It measures 18 x 18 inches, and works best when placed under a stand or other object that can easily be moved. Of course, your guests will be disappointed that it’s not actually a secret passage, and it’s basically just a dumb picture, but they’ll still respect you for giving a nod to Zelda. Stay tuned to Nerd Much for more cool stuff to buy that you probably shouldn’t be wasting your money on.